ISLAMABAD (92 News) – The Interior Ministry has on Friday presented a list of 61 banned terrorists organizations in the Senate. The ministry presented list of 61 banned terrorist outfits including Lashkar-e-Jhangvi, Sipah-e-Muhammad, Jaish-e-Muhammad, Lashkar-e-Tayyaba, Shahah-e-Sahaba, Tehreeke-e-Islami, Al Qaeda, Millat-e-Islamia Pakistan, Khaddam-ul-Islam, Jamaat-ul-Ansar, Hizbut-Tahrir, Balochistan Liberation Army, Balochistan Republican Army, Balochistan Liberation Front and Balochistan Liberation United Front. Jamaat-ud-Dawaa’s name is included in the list of organizations under observation, while the interior ministry didn’t reply to the list given amnesty under National Reconciliation Ordinance (NRO). 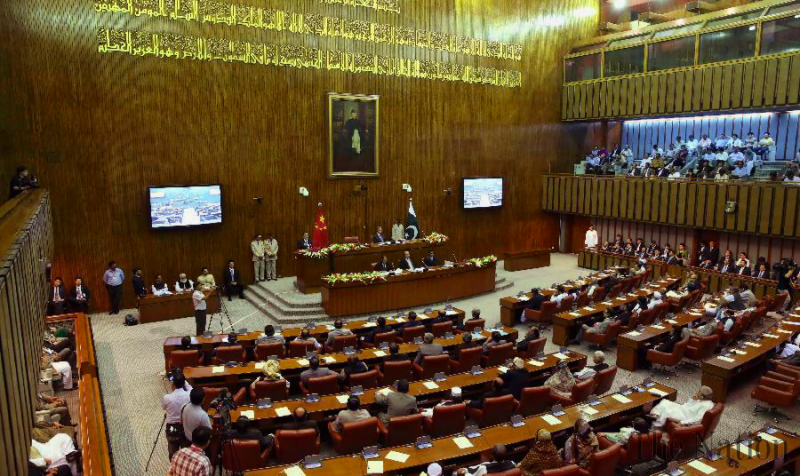 In its written reply to the Senate, the interior ministry said that Pakistan is taking steps to stop terrorists coming from across the border from Afghanistan. “The security forces are patrolling the Pak-Afghan border,” the ministry said. The ministry said that around 1177 incidents of robbery, 96 incidents of dacoity occurred during the current year in the federal capital. “Around 1113 incidents of terrorism have been reported this year in which 637 terrorists have been killed, while 710 terrorists have been apprehended from all the four provinces and Gilgit Baltistan,” the ministry said.